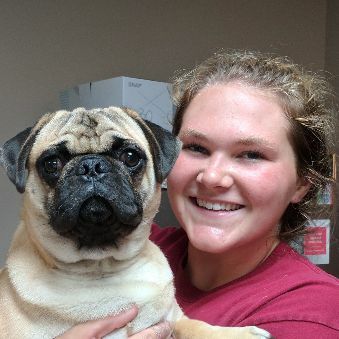 Cameron started at Ridgewood as a highschool student helping to care for our guests as a kennel attendant. She was born and raised in Forest, VA, but is currently attending Virginia Tech to prepare for and apply to Veterinary School or work in animal rehabilitation/preservation. She has always loved animals, working with and owning dogs, cats and horses. She owns 2 shelties, 2 labs and a kitty. Her hobbies include lacrosse, hiking and volunteering at the local humane societies.